Upon arrival at Delhi railway station/airport, you are greeted by our representative who then leads you to your respective cabs/Volvo bus for an onward journey towards Haridwar. The ancient and holy city of Haridwar is famed enough for its many popular bathing Ghats, the beautiful Ganga Aarti and for being one of the Kumbh Mela destinations. On reaching, you are transferred to the hotel. 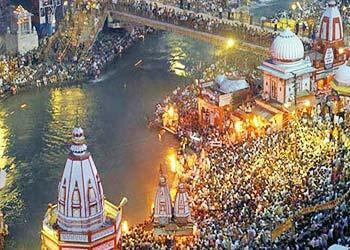 After rest and freshening up, we set out to view the beautiful and out-and-out heavenly Ganga aarti. The sight of uncountable floating Diyas gleaming brightly against the backdrop of the dark night is indeed an out-of-this-world experience. After enjoying this splendid view to the heart’s fill, you return to hotel for dinner and night stay. Next day, post breakfast we hit the road for Guptakashi. 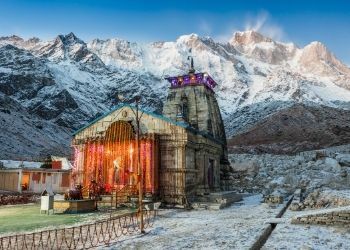 This religious town is named Guptakashi or ‘Hidden Kashi’ because it is here that Lord Shiva hid himself after eluding and evading the Pandavas as per our myths. The chief highlights of the town are Vishwanath temple, Ardhnarishwar temple, Manikarnika Kund, a pellucid pond believed to have been constructed by Lord Vishnu. On reaching Guptakashi you are transferred to hotel for dinner and night stay. Next day early morning we proceed towards Gaurikund, an auspicious location according to mythology. 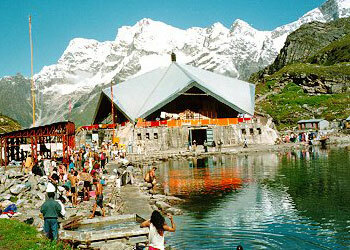 Myths declare that this is where Devi Parvati (Gauri) performed penance to get Lord Shiva. 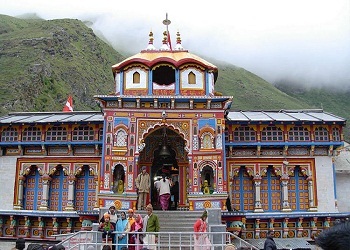 Gaurikund serves as the base camp for the rigorous trek to Kedarnath Dham. 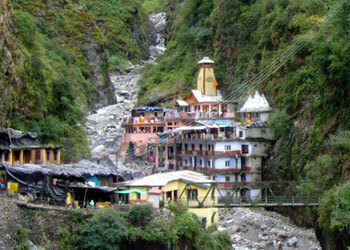 On reaching Gaurikund, we then start our 14kms of trek towards Kedarnath Dham. Lunch is served en-route. We reach Kedarnath by afternoon. On reaching, you are transferred to hotel for rest and freshening up. Towards the evening, we set out for a Darshan of Kedarnath Ji in his celebrated holy Kedarnath Shrine. Post Darshan, you could even pay your tribute at the Adi Shankaracharya Samadhi situated on the temple’s rear side. Back to hotel for dinner and night stay. Next day, early morning after breakfast we trek back to Gaurikund and head towards Rudraprayag by road. 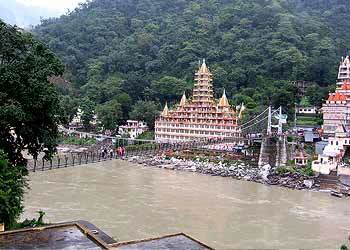 The picturesque locale of Rudraprayag is known for the holy confluence of River Alkananda and River Mandakini. 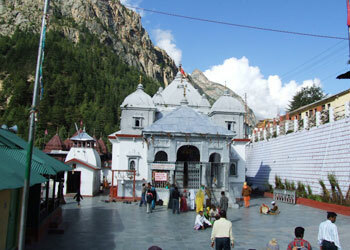 According to myths, Narad took on Rudra avatar at this place after receiving blessings from Lord Shiva. 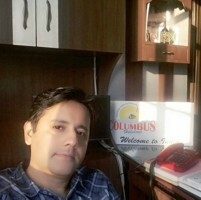 Upon reaching Rudraprayag, you are transferred to hotel for dinner and night stay. Next day post breakfast, we drive towards Rishikesh, the holy city of meditation, spiritual learning and yoga. 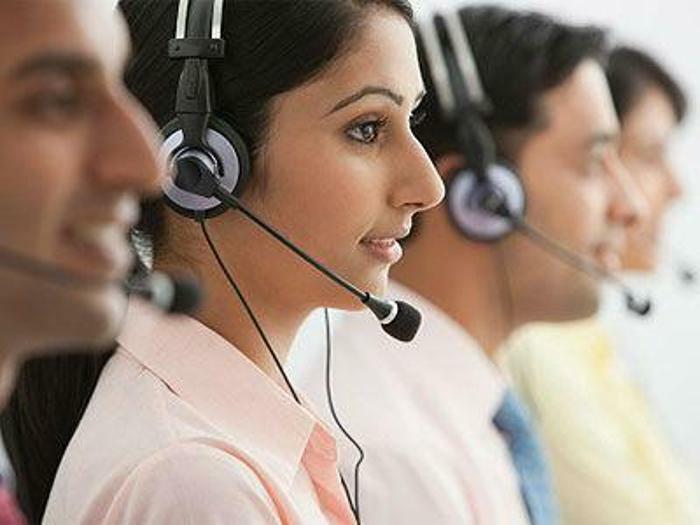 Upon reaching Rishikesh, you are transferred to hotel. Evening is left free at your leisure to explore Rishikesh local bazaars. Back to hotel for dinner and night stay.